Ten years today since God took you from us. 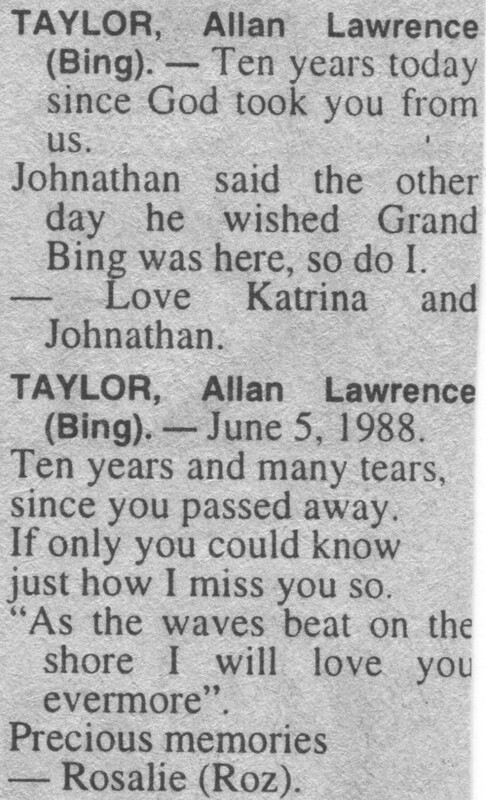 Johnathan said the other day he wished Grand Bing was here, so do I. Ten years and many tears, since you passed away. If only you could know just how I miss you so. “As the waves beat on the shore I will love you evermore”.